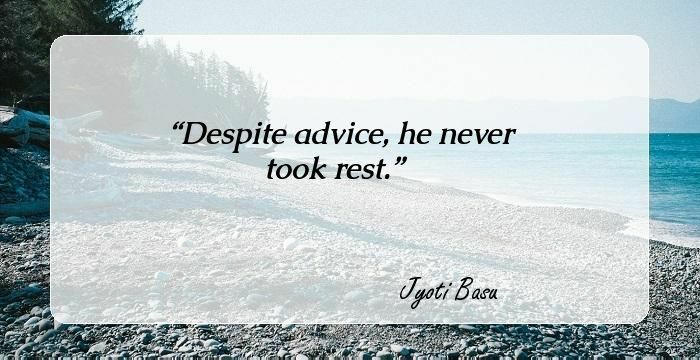 11 Inspirational Quotes By Jyoti Basu, The Longest Running CM Of A State, That Will Bring Forth A New Aspect Of Politics To Light. Jyoti Basu is synonymous to communism in India. The Marxist leader held the distinction of serving as the longest running Chief Minister of any Indian state. He ruled in West Bengal with an iron fist for a little over two decades. The world of politics is replete with stories about the CPI(M) leader. However his autobiography, "Unknown Facets of Rajiv Gandhi, Jyoti Basu, Indrajit Gupta" penned by Arun Prosad Mukherjee the former CBI director reveals an interesting fact about Basu. The book states that the CPM top gun was approached by Rajiv Gandhi with the proposition of becoming India's Prime Minister, not once but twice during the turbulent times of 1990 and 1991. Basu refused to accept the proposition and replied that only the party's central committee's call. Following CPM's refusal Chandrasekhar became the Prime Minister in 1990. The latter’s failure became evident the following year and Rajiv yet again walked to Basu with his proposal only to be denied again. These two encounters are not common knowledge but the 1996 episode where a hung Parliament yet again presented a chance before Jyoti Basu to lead the nation. He was nominated by several leaders of the lower house as a suitable candidate for Prime Minister. However the CPM vetoed the proposal once again. One can only contemplate the amount of respect the CPM leader commanded by these incidents. The following are a few inspirational quotes by the communist leader. 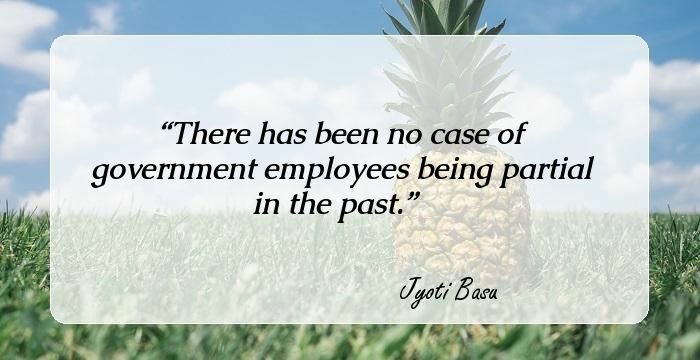 There has been no case of government employees being partial in the past. 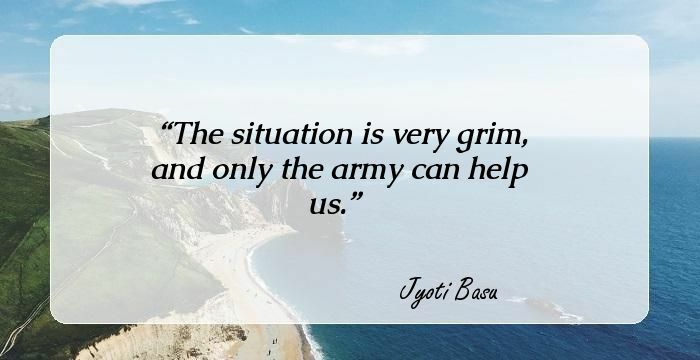 The situation is very grim, and only the army can help us. Despite advice, he never took rest. Is it so? Sonia Gandhi has resigned? Whatever is therein law will take place. I will not comment further. It was a reflection of people's faith in our policies and we hope that the opposition will cooperate with the government in its good work and play a responsible role. I don't know why are we having elections in five phases. Maybe because workers and officers of the State have helped us in implementing our policies. He is the biggest terrorist of the world and I support the protests against his visit. The present government, it seems to me, is thinking that without America nothing can be done. What Nehru did, they are completely altering it. Let (the) Election Commission do whatever it likes, but we are going to win this time also. What can we do? We have no other alternative at the moment. Whatever the government is doing about Iran is wrong.